As a homeowner, there are times in life you need to sell your home quickly. It might be due to a divorce, to avoid a foreclosure, or even if you inherited a home you do not need. When you are ready to sell your home, having options is important. One of the best options out there is to sell your home for cash, quickly. If you find yourself in this category and searching for “sell my home for cash in Fort Collins” – look no further than NOCO Invest. We buy homes for cash quickly. One of the biggest misconceptions about selling your home for cash is that you’ll get a lowball offer. That simply isn’t true when you work with NOCO Invest. We will offer you a fair market value for your home, just as you would get if you sold it the traditional way. The only difference is that we take out the hassle of the selling process, realtor fees, and the like. If you’re selling your home traditionally, realtors will often encourage you to fix it up, paint, repair the roof, and so on. When you sell to us, we won’t! We buy your home exactly as it is and won’t ask you to do anything to get it ready for us. We’re in the business of fixing up homes, so we don’t mind a project or two. 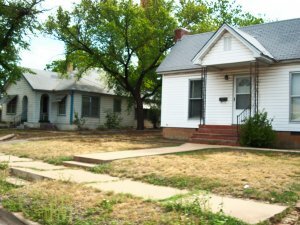 If you’re looking to “sell my home for cash in Fort Collins,” we’re here to help! The beauty of working with us is that we can help you close on the home quickly… in as few as just SEVEN days, to be exact. We pay with cash and can move as fast as you’d like. This can help you avoid foreclosure, split the house in the midst of a divorce, or deal with an inherited home. If you need to sell the place quickly, you’re in the right spot! The nice thing about selling to us is that you simply just have to manage your belongings and we take care of the rest. You don’t have to clean, repair anything, clean up the yard, and so on. We take care of it all for you, so you can move on to your next home. Sometimes when you sell your home traditionally, a buyer will put a contingency clause in the offer that stipulates things like “we’ll buy your home if ours sells,” or “we’ll buy your home if you fix all of these things.” We never add any contingency clauses to our offer, meaning you get to sell your home without the headache of dealing with any stipulations. When you work with NOCO Invest, you can rest assured that you are working with a local, reputable real estate investment company. We live and work here, our kids go to school here, and our number one goal is to help make Northern Colorado beautiful, one house at a time. Working with a local company means you’ll have face-to-face meetings and you’ll know that the investor money will stay local. There are some scams to be had in the “selling houses for cash” business. One of the best ways to avoid this is to work with a well-known, local company whose reputation is verifiable. Meet the buyers face to face, and make sure the real estate investment company you choose to work with is legitimate and will stick to the terms you agree to. If you’re ready to sell your Northern Colorado home fast, look no further than NOCO Invest. We’re a real estate investment company that buys, remodels, and sells homes. We buy houses for cash, and once our offer is accepted, we can close quickly since we do not have to wait for a bank to come through with financing. Are you asking yourself, “Should I sell my house for cash?” The answer is yes! There are many benefits to working with NOCO Invest over trying to sell your house the traditional way. When we buy your house, there are NO fees or commissions, we can close in as few as 7 days, we buy your home AS-IS, and we always use a reputable third-party title company of your choice if you wish. Contact us to learn more about selling your Fort Collins home fast with NOCO Invest.